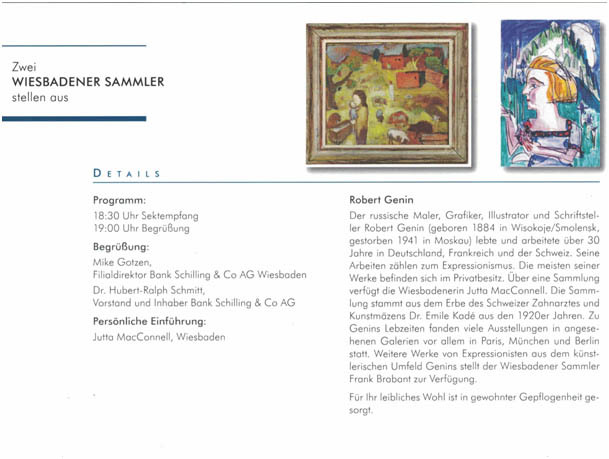 2019-03-30: The exhibition "Robert Genin (1884-1941). 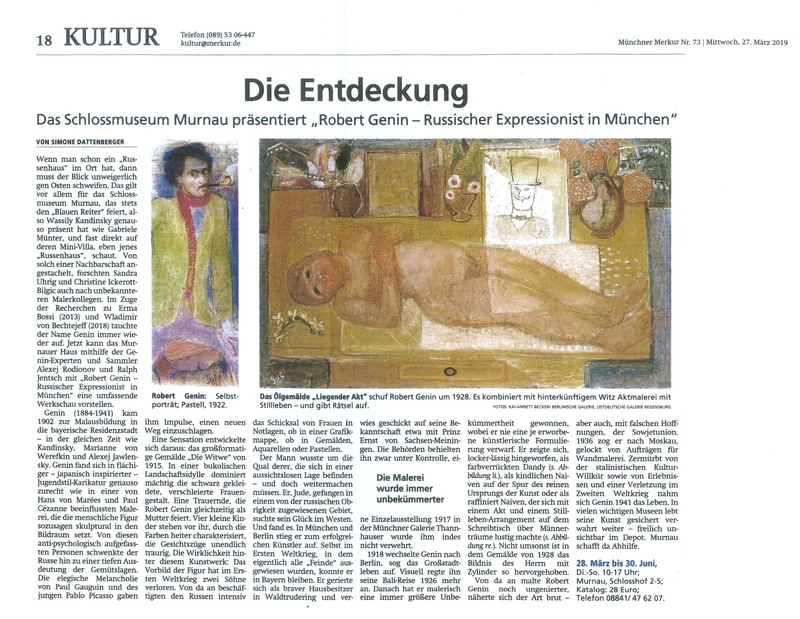 Russian Expressionist in München" in Schloßmuseum Murnau was opened on 27th March and will work until 30th June. 2017-09-05 until 2018-03-04: "Russen". 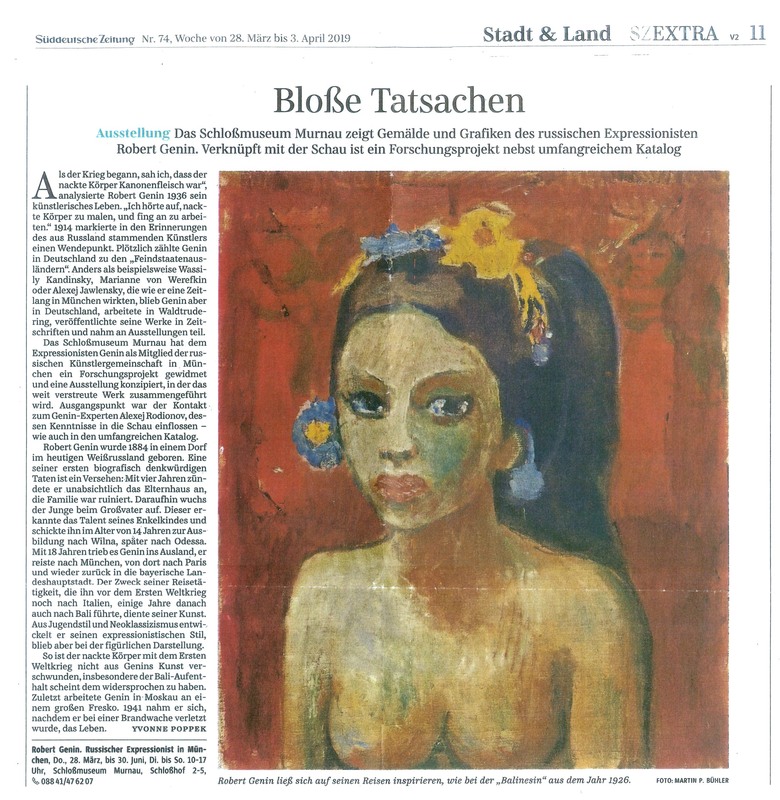 Exhibition at Kunstmuseum Basel. 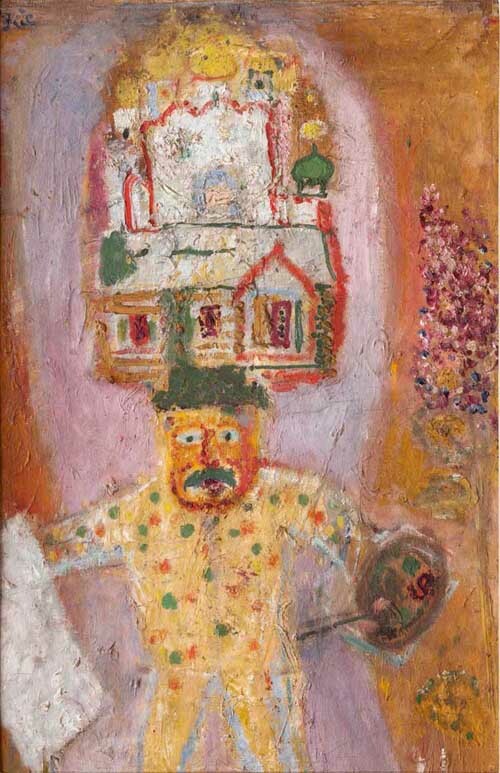 From the collection Im Obersteg - works of Alexej Jawlensky, Marianne Werefkin, Wassily Kandinsky, Chaïm Soutine and Robert Genin, who is represented by paintings, drawings and prints. 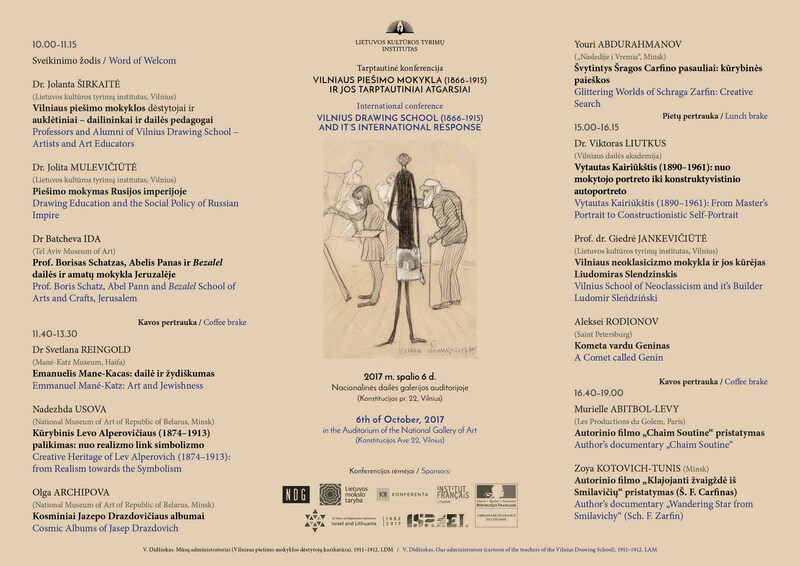 2017-01-17: Exhibition opening at Bank Schilling in Wiesbaden - "Robert Genin and his surroundings - paintings of expressionism"
2016-10-20: Almanac "Vestnik Istorii, Literatury, Iskusstva", 2016 (v. 11) is appeared with an article by A. Rodionov in Russian "Robert Genin (1884-1941). 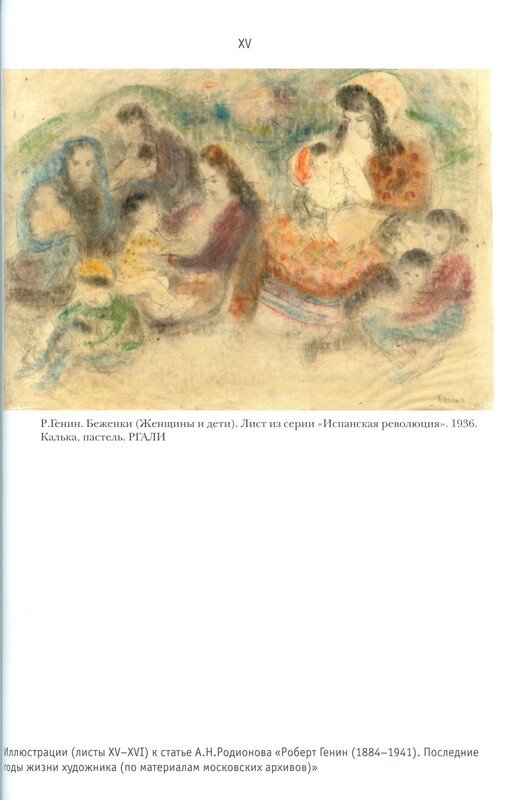 The Last Years of the Artist (Based on Moscow Archives Materials)". 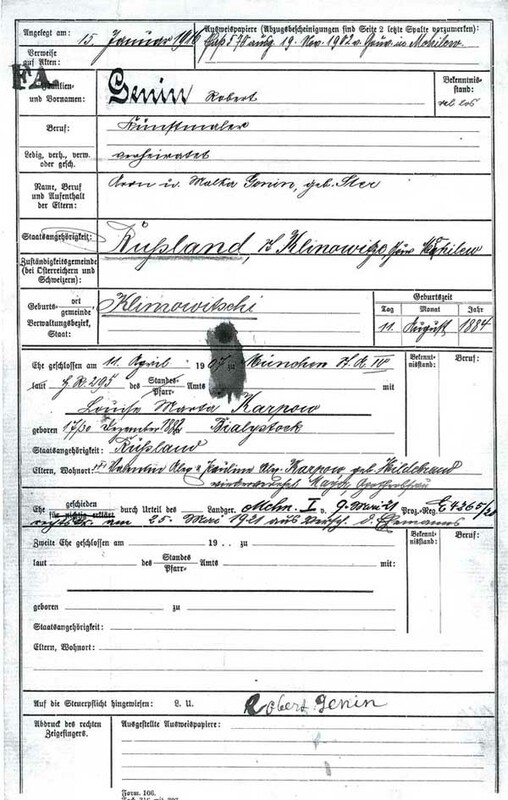 2016-10-08: A set of police forms concerning registration of Genin during the period 1903-1918 has been found in the City Archive of Munich (thanks to Matthias Röth, Archivoberinspektor). A lot of previously unknown information is contained there, e.g. 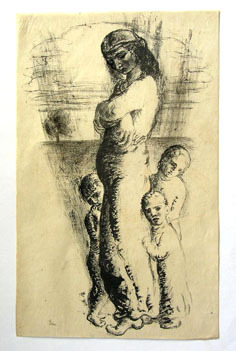 the name of the artist’s mother (Malka Genin born Ster), as well as numberous addresses which Genin has changed in Munich. 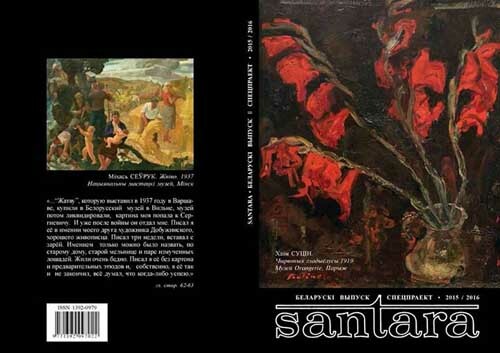 2016-07-17: The last issue of "Santara" magazine (Vilnius) published an article by A. Rodionov: "Robert Genin, a pupil of the Drawing School in Vilna in years 1898-1900" (translated into Byelorussian). 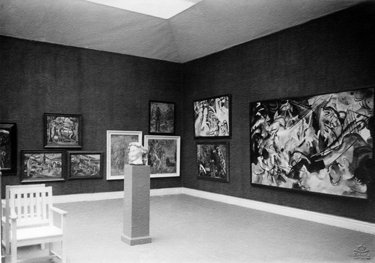 2016-07-03: An exposition photo of the Baltic Exhibition in Malmö (1914) discovered. From left to right: three paintings by Bechtejeff, three paintings by Genin, three paintings by Kandinsky, including "Composition VI". 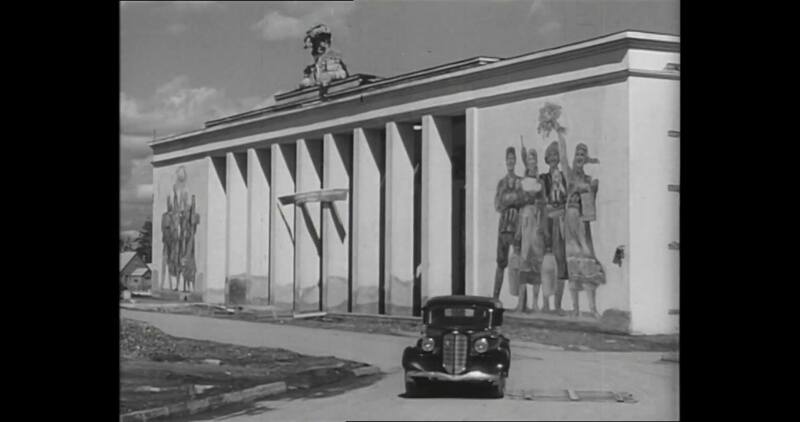 2016-06-10: A photo of the fresco finally found (thanks to Pavel Nefedov, Moscow), which Genin made in autumn 1938 for the pavilion "Sovkhozes" of the All-Union Agricultural Exhibition (VSKhV). 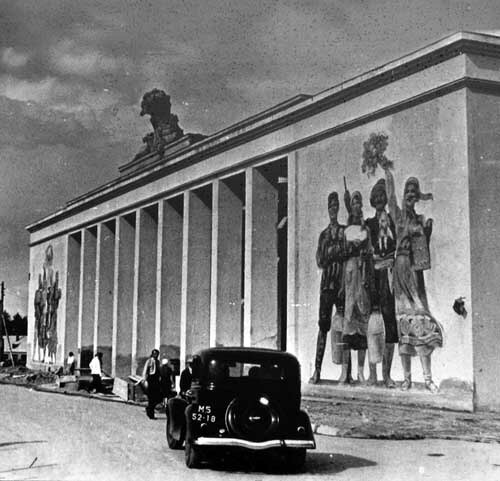 During the construction the pavilion was renamed, the fresco was destroyed. 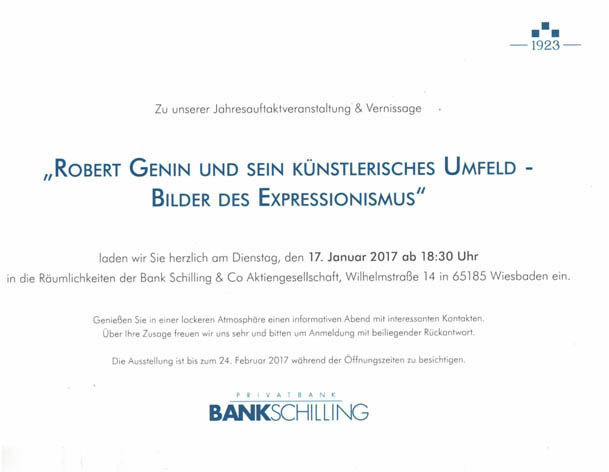 Robert Genin (born 11. August 1884 in Vysokoye near Klimovichi in the region of Mogilev; died 16. 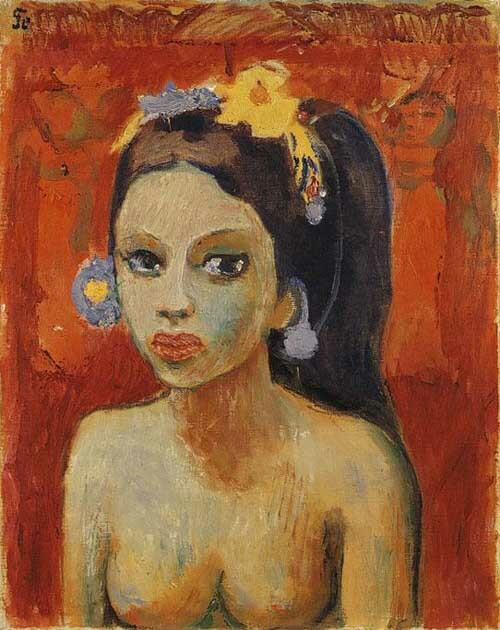 August 1941 in Moscow) was an artist, who lived in Russian Empire, Germany, France, Switzerland and the USSR. 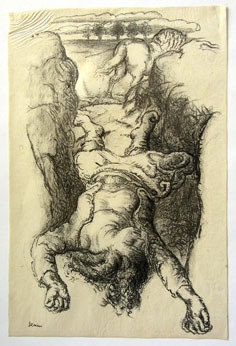 The works of Robert Genin are widely spread. 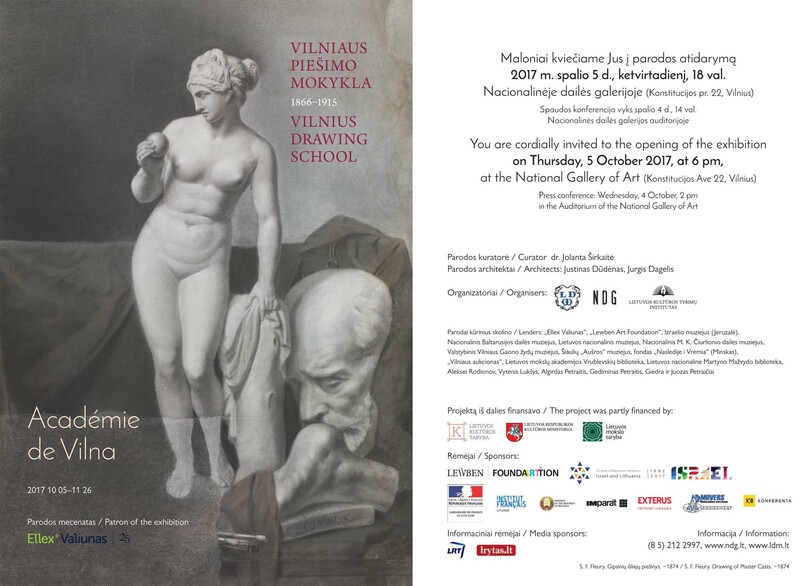 His Friends club investigates his heritage in order to prepare publishing a monograph and the catalogue-raisonné. 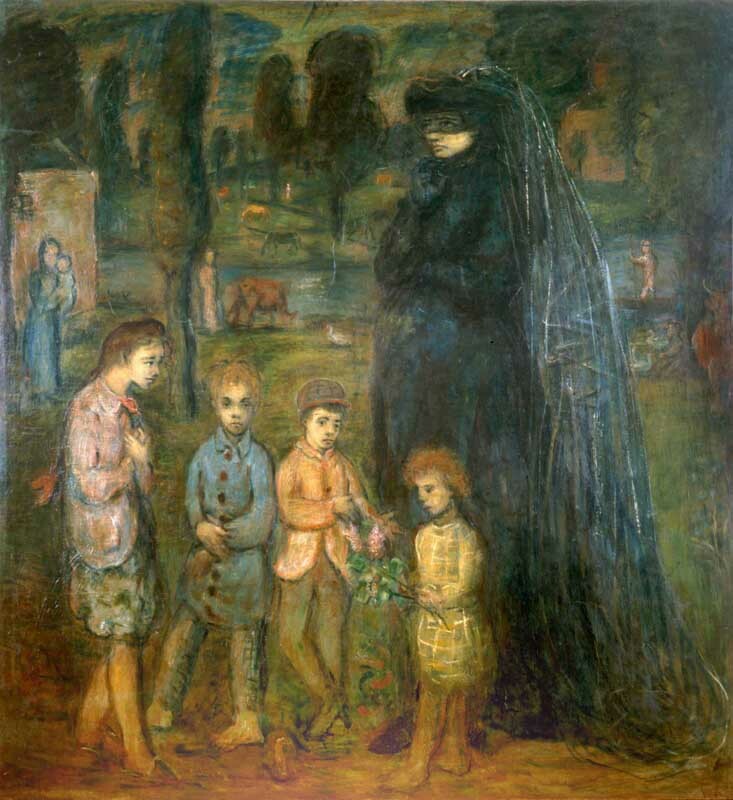 The private collectors are welcome to contribute with descriptions of the works they possess. 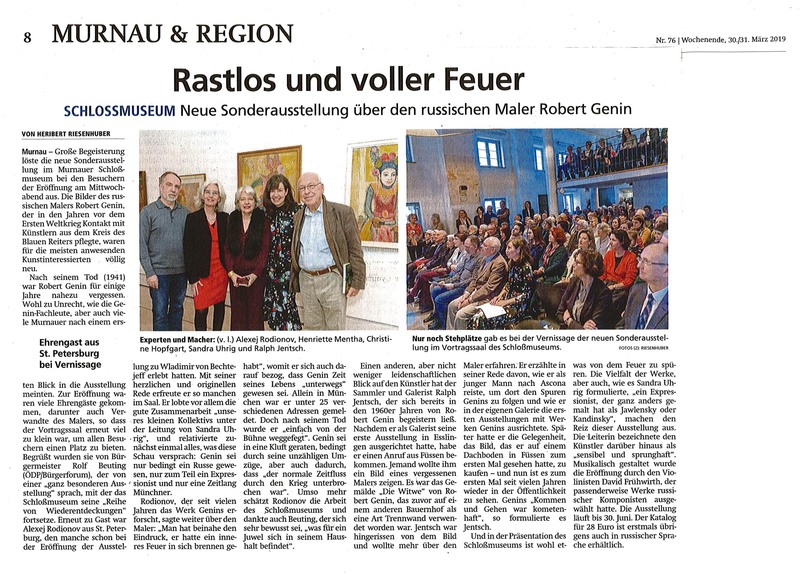 Any additional information on the biography of Robert Genin is also appreciated. 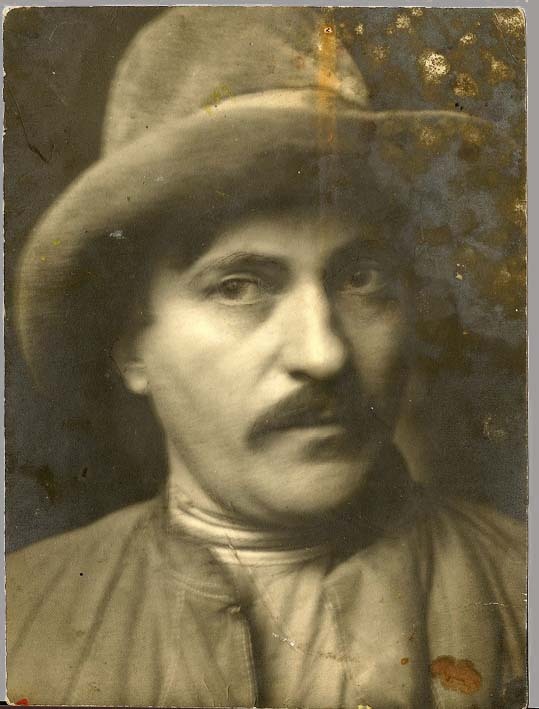 Robert Genin (1884-1941). The Last Years of the Artist (Based on Moscow Archives Materials). 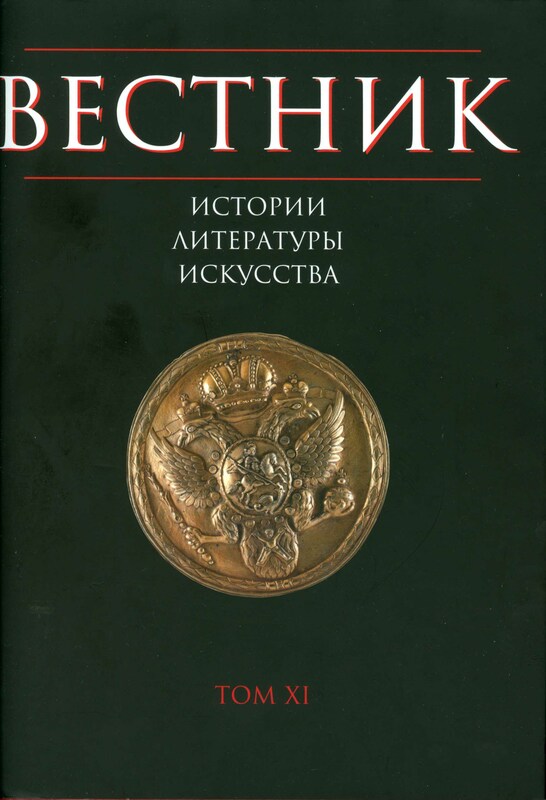 Article by A. Rodionov in the almanac "Vestnik Istorii, Literatury, Iskusstva", 2016, v. 11, p. 434-454.